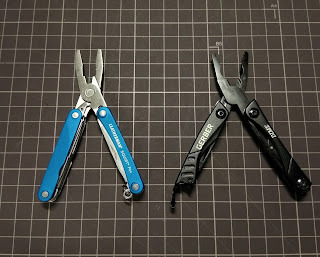 Sup guys, Atech here and welcome into another episode of “Battle of the budget tools” – the series where we compare 2 similar but different budget multi tools and knives. 1. In the blue corner, weighting 2 oz – the Leatherman Squirt PS4! 2. In the black corner, weighting 2.35 oz – the Gerber Dime! Now I know there have been lots of comparisons between these 2 tools but believe me there is a reason why I’m doing this comparison and I will state it in the end. The Squirt comes right about 2.25 inches in the closed state, the Dime is slightly longer. The thickness – as you can see the Dime is just a bit thicker. Better main blade, file, scissors, wide screwdriver, keyring. 2. Better overall design, looks and quality. 3. Leatherman have better reputation and warranty. 1. Bottle opener/cap lifter, extra blade, extra tweezers. 2. Comes with a coating (blacked out tool). 3. Tension could be adjusted (on newer version of the Leatherman as well). 4. Price, which brings me to the reason for making this video. 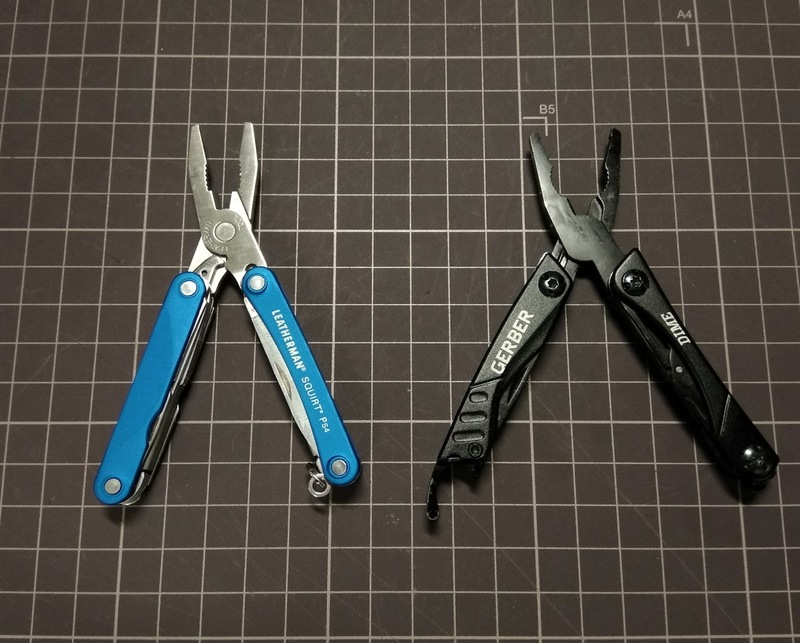 3 years ago, when everyone have compared these, the difference in price was between 5-10 dollars, so the Leatherman was obviously the better choice. Well now the Squirt costs 2.5 times more than the Dime tool, so it’s a totally different prospective now. Well, I think you wouldn’t be wrong with either. Both tools are well made and will accomplish most of the tasks needed from a small EDC multitool (open a bottle, open a package, cut something, wheither if it’s with the scissors or with a knife, unscrew a screw, pry, scrape or hold something tight), so the differences between them really come down to semantics and nitpicks. I’d say the Leatherman is the better tool overall, so if you are a perfectionist – this tool is definitely for you. But, with todays prices – I think the Dime has better overall value and definitely has a place on the market as a budget alternative to the Leatherman. Thanks for watching guys, if you liked the video please give it a thumbs up, links are in the description and please write in the comments which one would you prefer – the Leatherman Squirt or the Gerber Dime? Again, thanks for watching and I’ll see you on the next one.